It’s always a pleasure to read the new publishers’ catalogues. Apart from the lovely pictures, one always has the frisson of thinking about all the interesting books there isn’t going to be time to read but maybe mental osmosis from looking at the covers and blurbs works a little…. Anyway, the Yale University Press catalogue for Spring and Summer 2017 just landed. The economics/tech books on offer promise a rather gloomy view of the world. I’m looking forward to (and will definitely read rather than osmose) Stephen King’s Grave New World: the end of globalisation and the return of the economics of conflict. The title says it’s even gloomier than his last book, xxxx. There are two interesting looking titles on environmental economics. 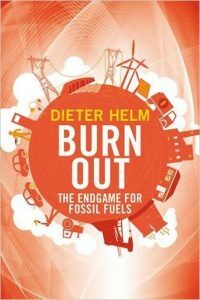 One is my Natural Capital Committee colleague Dieter Helm’s Burnout: The endgame for fossile fuels. The other is Benjamin Barber’s Cool Cities: the urban fix for global warming. 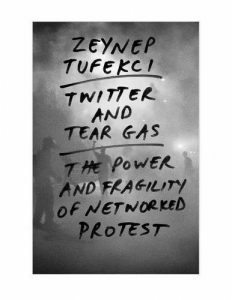 The other title here I’m very much looking forward to reading is Zeynep Tufekci’s Twitter and Teargas: the power and fragility of networked protest. 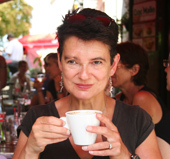 Remember the Arab Spring, the hope of social media facilitated liberation movements? It seems an aeon ago. Now we have authoritarian surveillance and Trumpism and the Alt-Right.